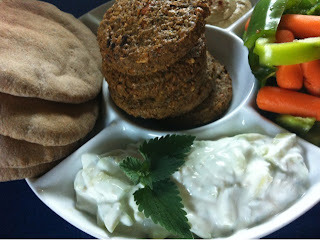 The Mom Standard: Recipe: Go Greek! 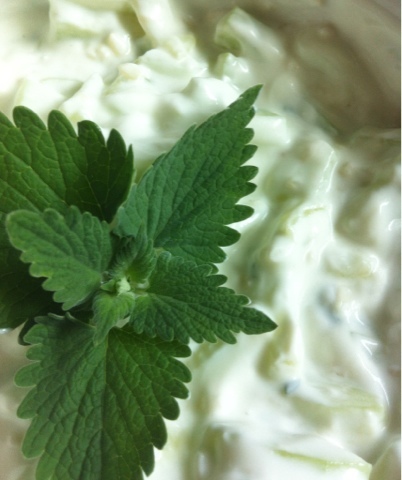 Yogurt & Cucumber Sauce. EASY! Recipe: Go Greek! Yogurt & Cucumber Sauce. EASY! Tzatziki is definitely not an Italian dish; it's 100% Mediterranean and delicious! I suggest to make this a few hours to a day before you plan on using it just so the flavors set in and get stronger. If you can't wait that long, it's still good immediately after making. I use this on falafel, as a side salad, and thin it with a bit of water to use as a dressing for a baby spinach salad. It's of course great with gyro meat and any lamb dish.